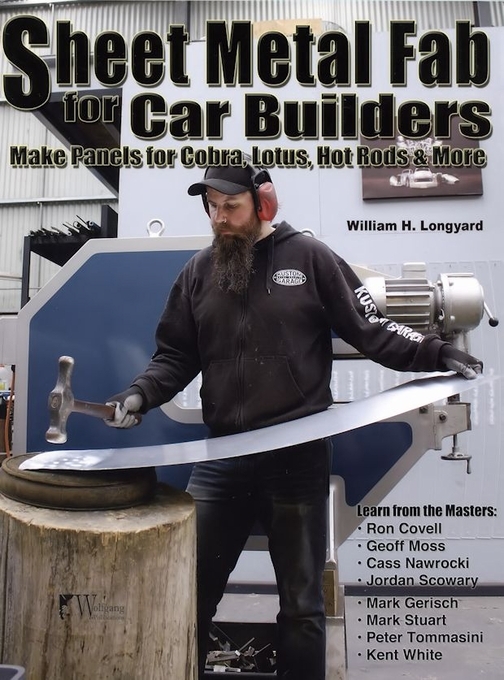 Sheet Metal Fab for Car Builders, written by Willam H. Longyard and published by Wolfgang Publications, is the sheet metal fabrication how-to book that you've been waiting for. Sheet metal fabrication is the delicate process of creating metal structures by cutting, assembling and bending sheets of metal. For many owners of replicas of classic dream cars like the Lotus Super 7 and the Cobra, that means replacing those fiberglass bodies with real-deal metal, bringing them that much closer to the original models. Of course, the majority of us can't even fathom where to begin with a project that sounds impossible without putting out some stiff bucks. Well, put those concerns aside. Anyone that would like to customize a hot rod, update their model or restore a classic without turning to a custom panel shop only needs this sheet metal fabrication how-to book. 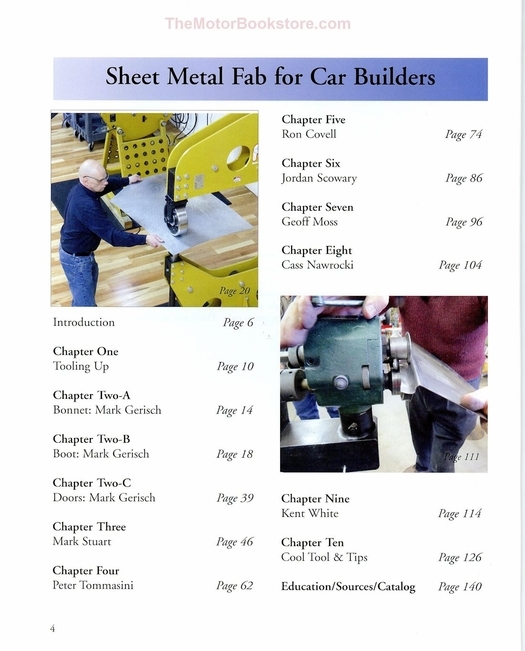 Sheet Metal Fab for Car Builders is the first comprehensive resource that's ready to show the enthusiastic do-it-yourselfer not just how to patch panels but how to build complete metal bodies to replace those fiberglass casings. And it will show you how to perform these tasks in simple manners without a lot of experience, expensive tools or turning to professional body shops. This book compiles techniques, tips and first class lessons from some the best craftsman in the field. It features step-by-step instructions on metal shaping, getting you up to speed quickly. After a quick introduction, study under the likes of Cass Nawrocki, Jordan Scowary and Ron Covell. Get an understanding of how to assemble your workstation, as well as a library of educational resources. You'll also find a wealth of photographs that will break down what seems complex. 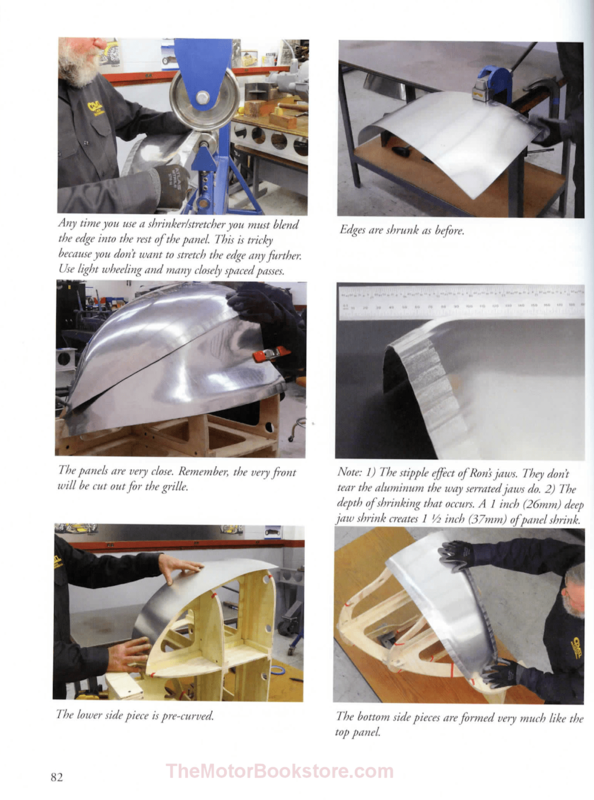 This is the sheet metal fabrication how-to book you didn't know you were waiting for. Written by noted designer, craftsman and builder, William H. Longyard, Sheet Metal Fab for Car Builders is going to make even the most inexperienced classic car owner consider turning that fiberglass car body into genuine metal. 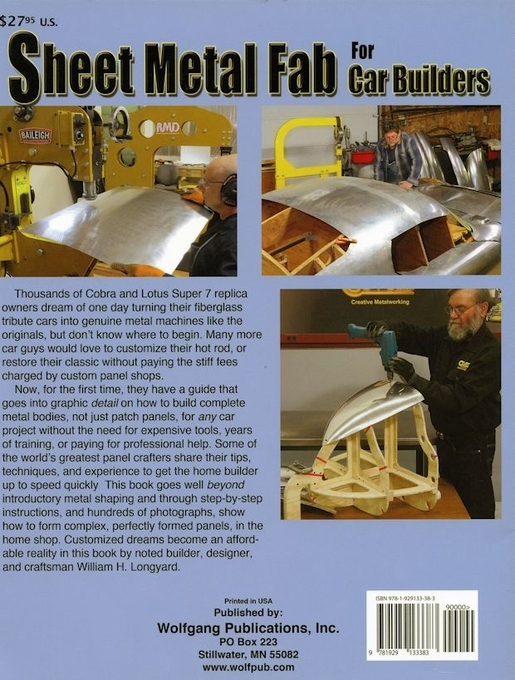 Refer to the Specifications Tab for a sample page from this book with a photo of a Ron Covell", himself, building a nose for a hot road roadster..
Below: Sheet Metal Fab for Car Builders by William H. Longyard Sample Page. Copyright CarTech Books. Ask a question about Sheet Metal Fab For Car Builders.